I have five sisters and I am the oldest. As I was growing up, I showed my sister how to beat the poverty by doing something to improve our lives. But I guess, my example was not good enough because they just simply gave up their education. 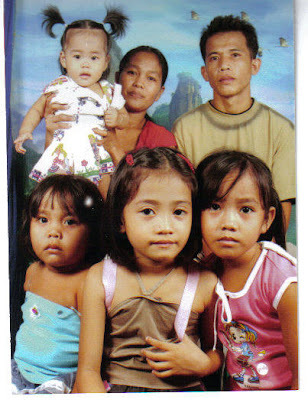 Next to me is my sister Roselda (33 years old), she has three children now. Her husband is working as a maintenance guy in TESDA. 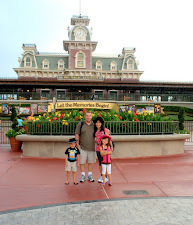 We asked my sister to live with Mama before because her husband is not taking care of her and the kids very good. He has vices (drinking, and gambling) and he only give limited amount to his family. My heart was crushed when she decided to take the kids back to Manila to live with her husband. She became so skinny again. But I can't blame her because she is thinking of her children growing up without their Dad on their sight. Next is Rebecca (31) and has three kids also. Her husband don't have a permanent job so she is constantly complaining about her life situation to me. I keet telling her that it's the life she chose. I hate to see my siblings suffer but my resources is also limited, I don't have a job and we are supporting my Mother and sending two of my younger sibs to school. This is Rosemarie (24), we called her Yheng. I sent her in college but she decided to stop and just look for work. She never find a job when she went to Manila but instead she got pregnant and the father of her son did not want to take any responsibility. So she went home to have her baby at my Mom's house. I was devastated by the choices she made but there's nothing I can do but to understand her situation. This is Lyn (22), my husband and I wanted to send her to College after she graduated HS but she did not want to. She has now a daughter and a baby on the way. I am just glad that her husband is a nice guy and has a permanent job that can support her and the baby. This is Mae, she's our youngest. She turned 16 last month and is now attending college. When my father died, she was only ten years old then. My late brother became her father figure when papa died so she took it so hard when my brother died too. She grieved so much and passed out several times during my brother's wake and burial. These photos were taken before I left going to States. 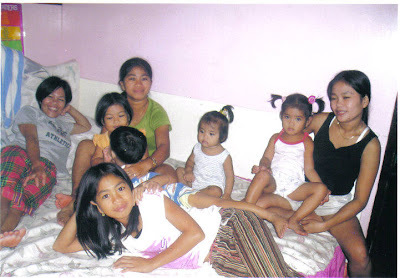 With my sisters Roselda and kids, Lyn, Mae, Becca and kids. 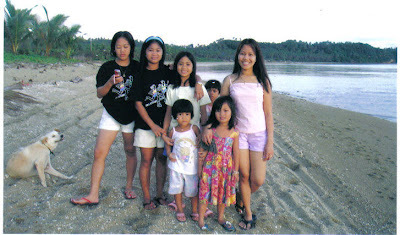 With Yheng, Lyn, Mae, our two nieces and our dog Budik. With Mae and Lyn. Don't they look like twins? 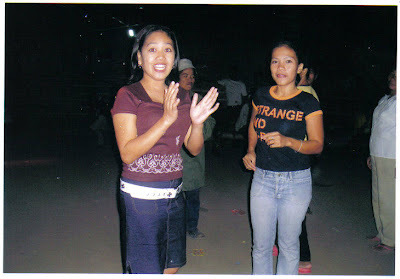 Latest photo of us sa tambayan hehehe..
With Mae and Lyn when I was still working in school. We went to Dheo Indika resort in Tabaco Albay with the student leaders. Thanks for taking time to read my boring life guys! Ayyy! lumakas ang heartbeat ko habang binabasa ko ang post mo pero nahimasmasan agad 'nong namukhaan kita sa picture number 8 kasama ang magagandang kambal. Sabi ko sa sarili ko si Rose ba to? Pinaikot ko ang mata at ayan nga! nakita ko yung tatlong mag-aama sa right side nang blog mo. Ikaw nga! hehehe. dami mo nang blog a. Am so glad to meet and know your siblings though not personally. Ganon yata talaga e, for each has his/her own life to live. Ganda nitong bago mong blog. First time to visit here. Thanks so much sa visit and well wishes. Medyo rest pa rin ako e.
I really envy you since I am the only child..
Have a blessed day, dear..
i perfectly understand you and i can somehow relate. we may have different situations but our feelings for our siblings are the same. Thanks for sharing this Rose,you really had had so much in life,but then ganyan yata talaga ang buhay,yung gusto natin para sa kanila minsan hindi nasusunod because they have their own lives to live.Goodlooking kayong magkakapatid especially yung the youngest & yung sinundan ng bunso. Have a Blessed weekend ahead you & your family & thanks for the visit.Hugs! Btw,para ngang twins si Mae & Lyn...hugs! basta panganay ano daw ganyan mapalabas ang being responsible. Siya yon mamroblema pag may problema, para pang siya yong taga pasan sa bigat ng mundo. Lucky them to have you, kasi you are helpful and responsible. 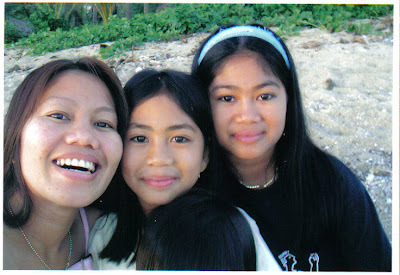 thanks for sharing these pix, rose; you are all maganda talaga, yung dalawa mong sis, parng kambal nga, ang gaganda! Well you did your job tsang as an eldest in the family, minsan kasi hindi natin hawak kapalaran ng ibang tao. 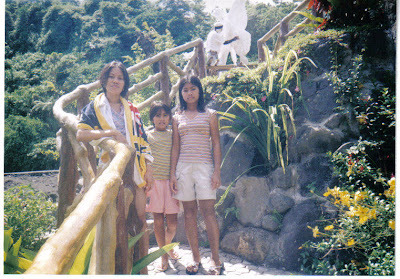 Ako rin panganay na babae sa amin, as much as I hate nagging, I only said once to my sister if they dont listen fine. They have choice in life but they chose to be like that. Imagine you were there spending money to ssent them to school but sounds like hindi sila interesado, well kung saan sila masaya, anong magagawa natin kundi suportaan. Ang gaganda ng mga lahi natin tsang hehehehe. Ang ganda ng bunso nyo, naawa ako nung pumanaw bro mo, (may he rest in peace)... Pero life sa atin, nasasanay na tayo sa kahirapan kaya siguro pinili nlang ng mga kapatid mo mag asawa hindi tulad mo na smart. They are still lucky to have a nice sissy like you tsang. Thanks for sharing your life. Pareho talaga tayo naiisip, I was gonna make a post about my siblings but my laziness bug got in my system lol. Have a nice day tsang. xoxo sa mga chubskulit mo. Thanks for sharing about your life and your family--for this nakilala rin kita at ang pamilya mo.I have read the story before na marami kang kapatid but ngayon ko lang nakita ang pics nyong lahat na magkakapatid. Nakakarelate ako sa story mo. Kasi sister ko din nasa abroad..
kala nila madali ang buhay don. Pero di nila alam mahirap din..
You got great family...I'm sure they will learn by seeing your initiatives to support your family. salamat sa pagshare ng inyong life. saludo ako sa iyong pagiging ate sa kanila. Balik ako dito sa family blog ninyo tsang just to say hello and have a blessed sunday. Balik ako dito tsang, just to answer the question of miss kris aquino waaaaa. Baklang bakla talaga tsang, bayot nga tawagan namin ng mga friends ko, you know na dream maging bakla waaa. 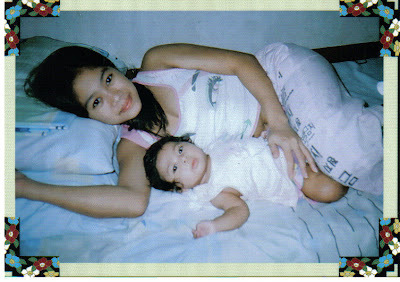 Si BB dallas step grandson yan ng sister ko, walang matress sister ayaw magka anak, gusto lng lakwatsa ang lifey lol. Sa First Commentator Club yang FCC tsang kay mariuca, tinatamad ang matandang batugan mag update sa FCC ko araw araw hehehe. Gand pala weather diyan sa inyo, palakad lakad lng ang life parang walang probs sa buhay, thats a good exercise tsang, ako sumasakit na puwit ko sa kalalakad. Hala sya, gotta go na, kasi wala akong dalang kandili pauwi madilim pa na man hehehehehe. xoxo sa dalawang magagandang makulit mo. Sa iyong akdang ito ay nakita ko kung gaano ka kabuting tao, asawa, kaptid at ina..Hindi ka sana magsawa sa pagtulong sa kanila. May dahilan ang lahat. Mabuhay ka! naku during this time super abundant ng avocado dito sa atin..
Ang gaganda nyo naman magkakapatid. Ang sarap tingnan ng mga larawan ng magkakapatid... magkakaiba ng buhay na tinatahak pero puno ng pagmamahal para sa isa't isa. Sis Rose, bag-o ni nimo ng ablog noh? nice og nakakamiss naman hehehe..affected? 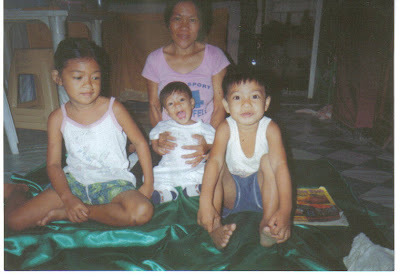 well, happy moments with your family sis, kamingaw ba tawon! Hello Te Rose, ikaw pala ito.. akalo ko kung sinong Marvelling.. heheh.. Anyway, it's not boring as you said.. it touches me... perhpas because I can relate.. hemmm.. unleashing time again for me.. heheh.. anyway, keep going Te Rose and have fun sometimes physically. muahhh! 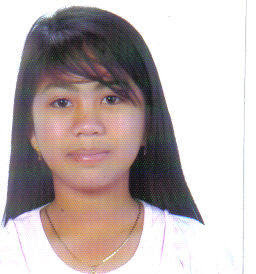 magayun basahon,,true to life kung baga..